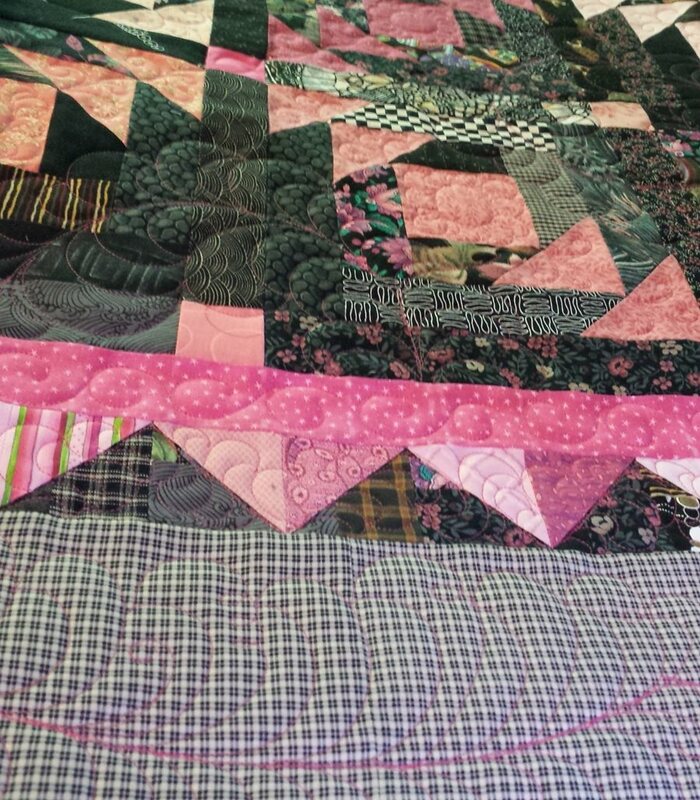 A stack of 9 blocks all pieced. 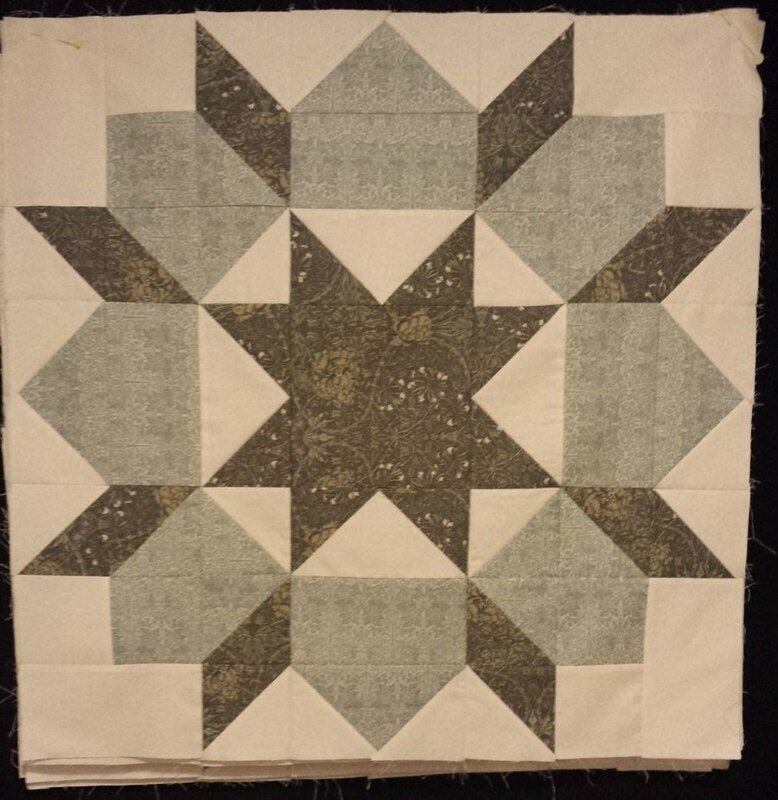 Swoon block. 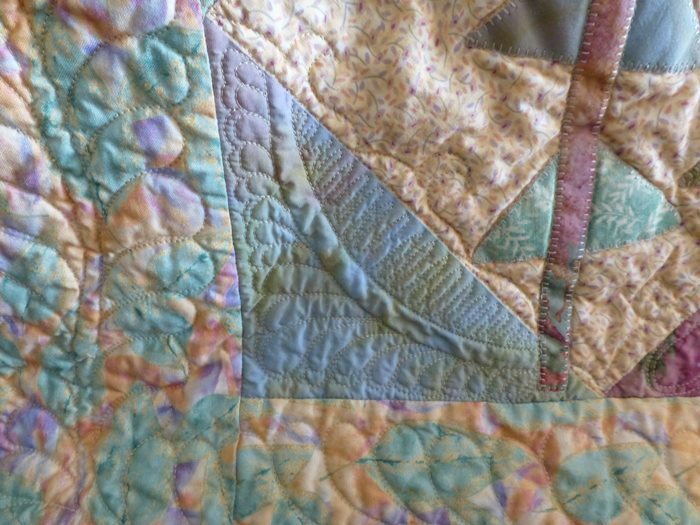 My quilt is named Texas Swoon. 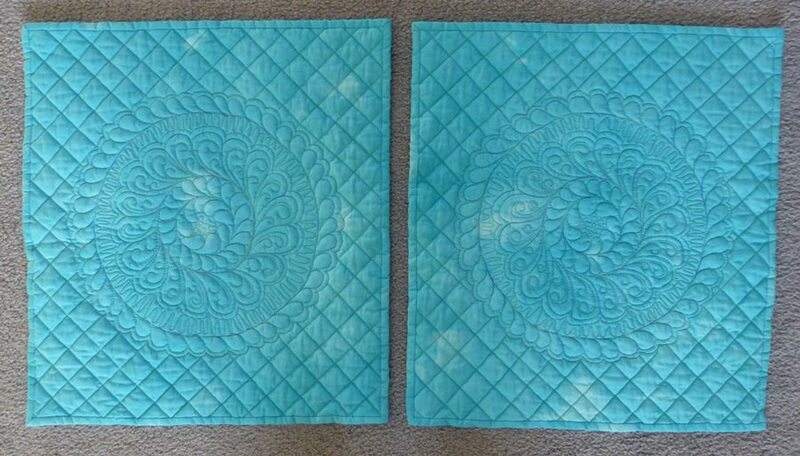 Number 5 or #5 for guild challenge and for a spare bedroom/aka son’s room. I’m finding that I’m more drawn to finishing old (OLD!) projects (UFOs) this year. So far, so good. And it feels good. Plus it is more budget friendly! 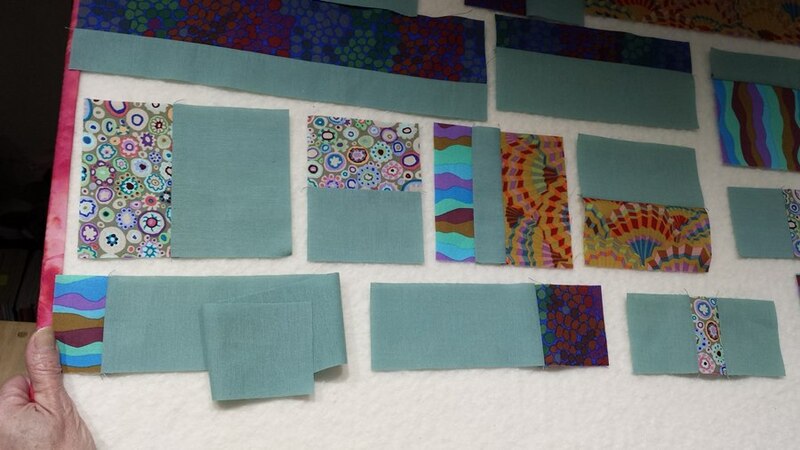 So on this page, I’ll post progress photos as I go instead of holding them all for when the quilt is done. I’m going to post them on this page in reverse order so the current progress is here at the top. 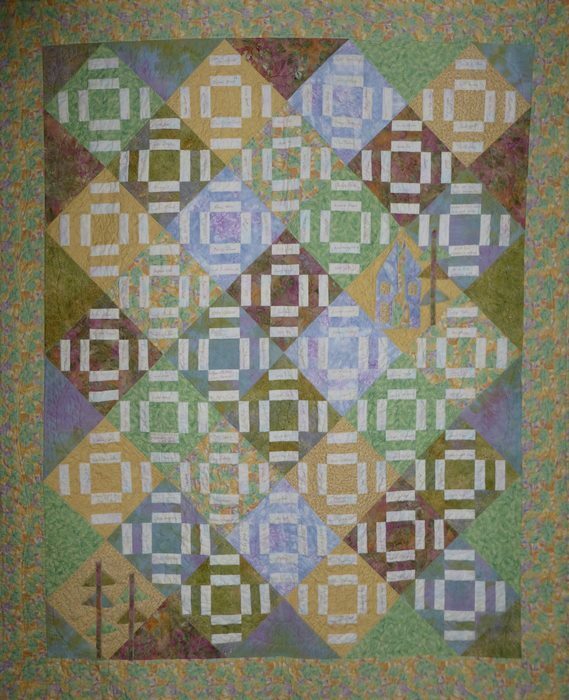 I quilt for others during the week and try to get a bit of time for my own project on Sunday and sometimes get a bit on Saturday. Progress is slow! 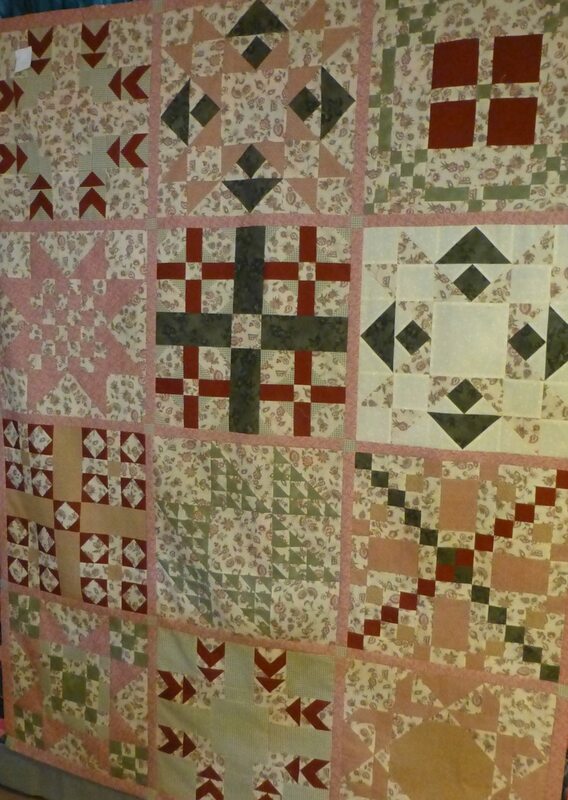 I quilted K’s graduation quilt! 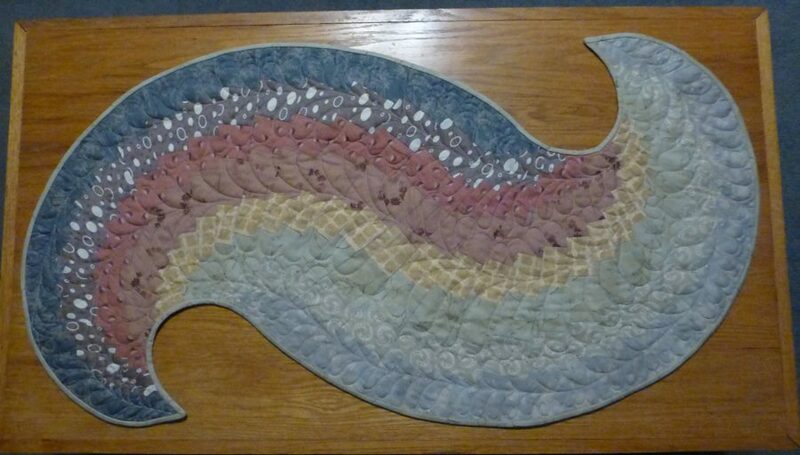 Pieced in 2004, I added a few signatures collected at her party and quilted it. 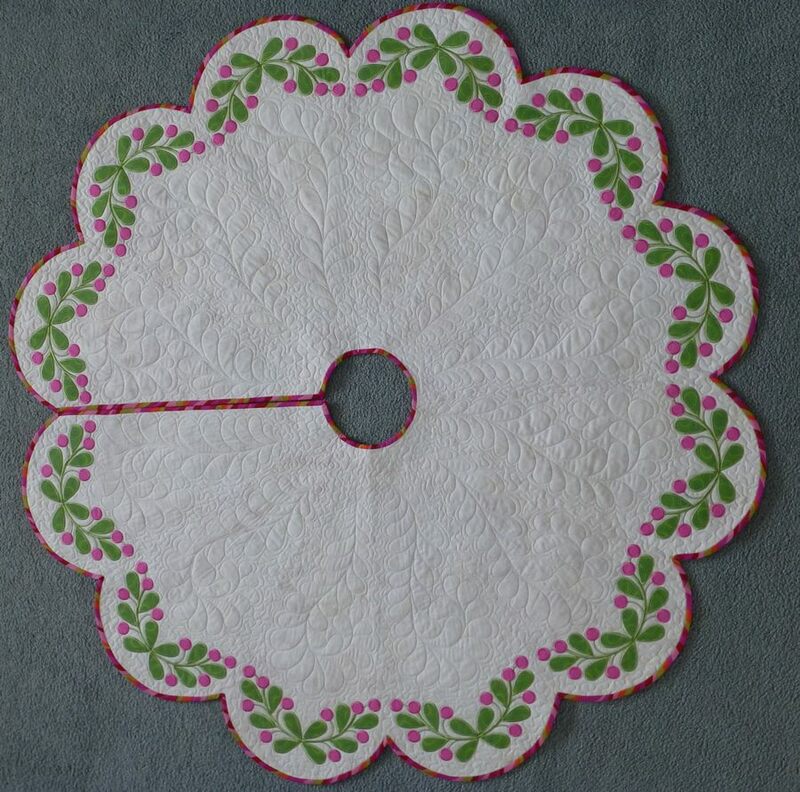 I finished the Pineapple Blossom quilting and binding. 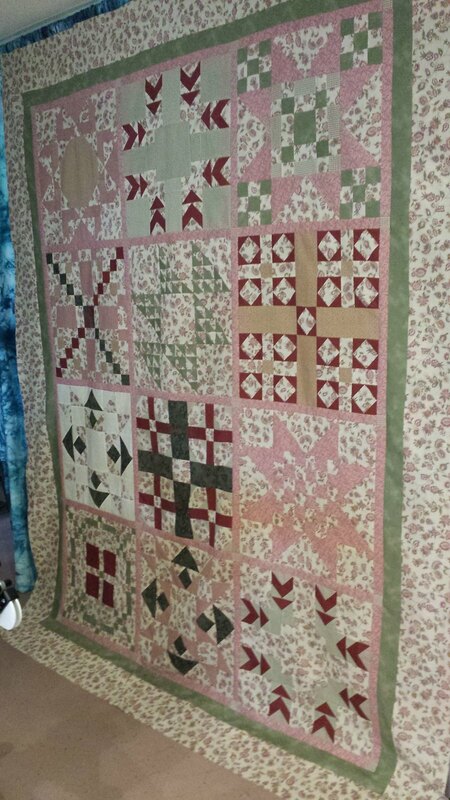 I finished a kit that included all the fabrics for the top & binding; center printed panel and pieced SnS around the edge & borders. 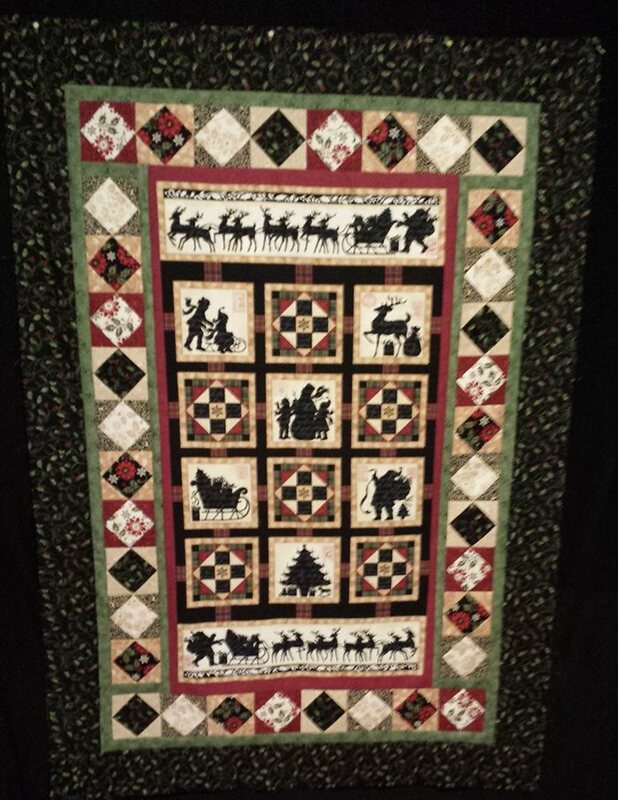 I heard this made a beautiful runner for a large table of family at Christmas so I’ll need to hunt down that photo! 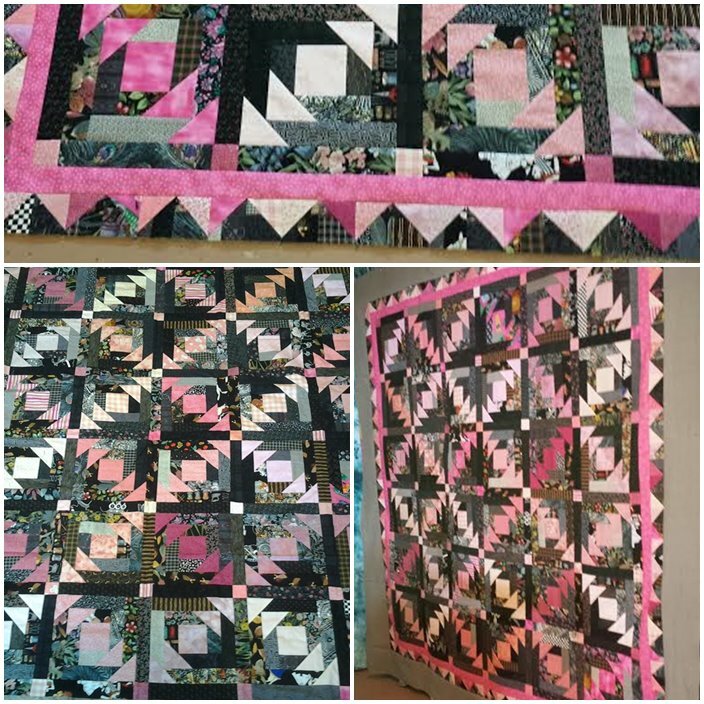 I started this Black & Pink Pineapple Blossoms quilt in 2008. 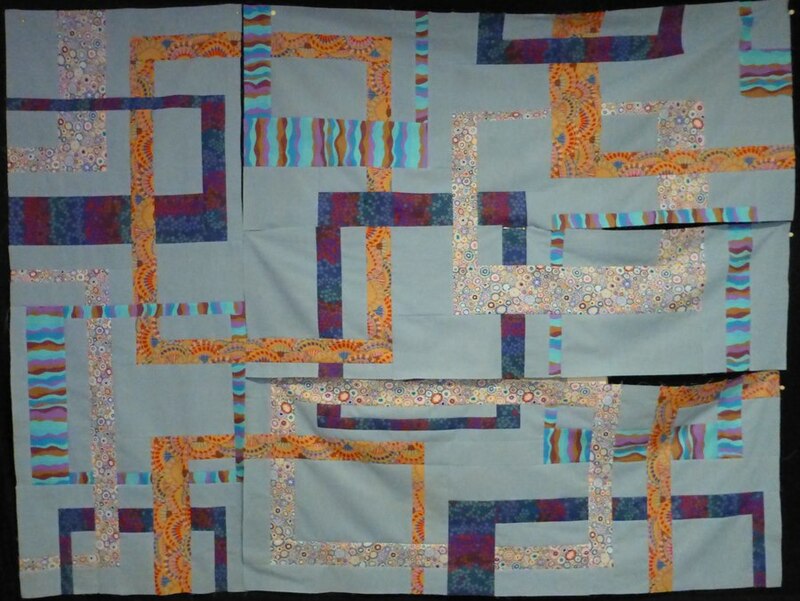 It needed the (mostly) HSTs for the border trimmed and all the borders made and attached. 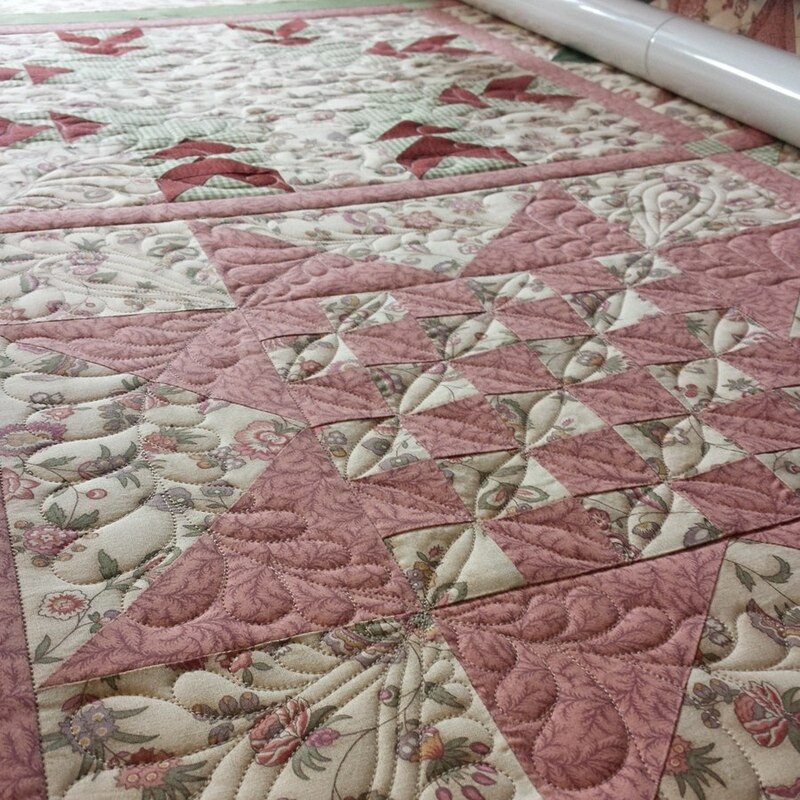 The top is done and now will await a turn on the long-arm for quilting. I don’t have backing for this yet. 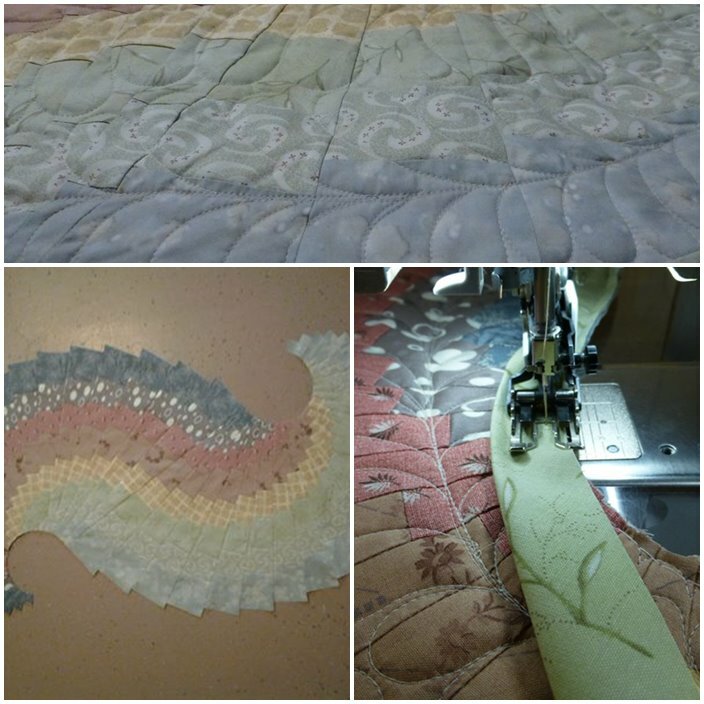 After completing the embroidery, applique’, and piecing of my tree skirt at the end of 2013, I found the Swirl Table Runner in process and completed that. Neither of those projects had been around too long nor were old.